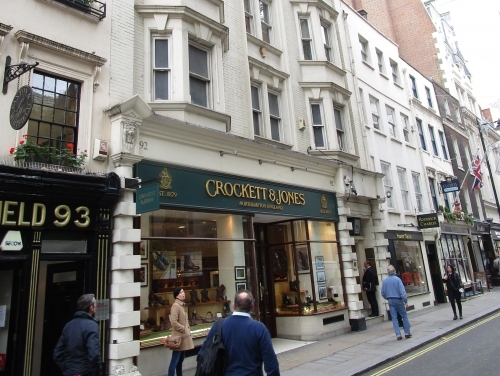 The building hosts bootmakers Crocket & Jones on the ground floor, as well as a basement restaurant and nightclub. The upper floors consist of an art gallery, offices and a penthouse apartment, all managed by SHW. The brief was to fully survey the building, which was run down and in need of refurbishment and refurbish all parts to maximise the value and rental income of the offices. Many sub-consultants were appointed by SHW as the Project Managers. Other SHW Divisions are also instructed by the client of this building. This includes the Planning and Rating teams and Capital Tax Allowance are also being investigated. The value of the construction work is in the region of £1.3 million and expected to be completed in May 2017. Furthermore, SHW's Planning department are working with a Heritage Consultant in the hope of obtaining Local Authority consent to change the façade colour. Research has confirmed that the building was constructed in 1907, to replace two individual townhouses (pictured below). James Hadden, SHW's Property Manager of the building said: "Our clients are committed to restoring this address to its former glory, to include a full redecoration and restoration of its important period features, and to include three floors of highly specified offices fit for the building's prime location in the heart of St James'." Haydon Murton, Head of SHW's London office said: "This is the kind of project in which can really utilise the breadth and depth of expertise we can provide. Works are going well and the end result should be very satisfying for all concerned."